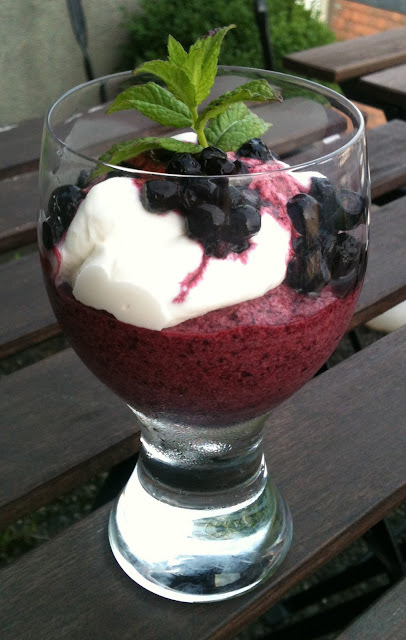 Since Summer has (finally) made its way to Switzerland, I decided to try a new dessert based on fruits. Berries, such as strawberries, blueberries and raspberries, are great and refreshing fruits in the Summer. 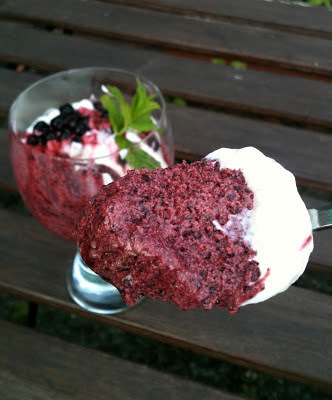 I opted for a blueberry mousse but you can easily replace blueberries with raspberries or even a mix of wild berries! It's an easy recipe and takes about 20 min to prepare. Heat up and mix fruits and sugar. Beat up eggwhite and cream. Mix it all and refrigerate! That's it. I tried to make something light, with not too much cream, eggs or sugar. In the recipe below, you can add as much or as little sugar as you want, I recommend 2 tbsp for 200 g fruits. Same goes for the cream, if you want sth more creamy then add more cream (you can easily double the volume of cream). And if you want something more fluffy or airy add another eggwhite. Put blueberries in a saucepan with some sugar (add to taste). Heat it up slowly so the sugar melts. Mix or press the blueberries to get a purée. If you want to get rid of impurities or if you want a homogenous mix pass the purée through a strainer (I don't do it I prefer to keep everything). Wet the gelatin sheets in cold water. Add the gelatin to the warm blueberry purée and mix. Beat up the eggwhite and the cream (in separate bowls). Carefully fold in the eggwhite. Then the cream, as carefully. 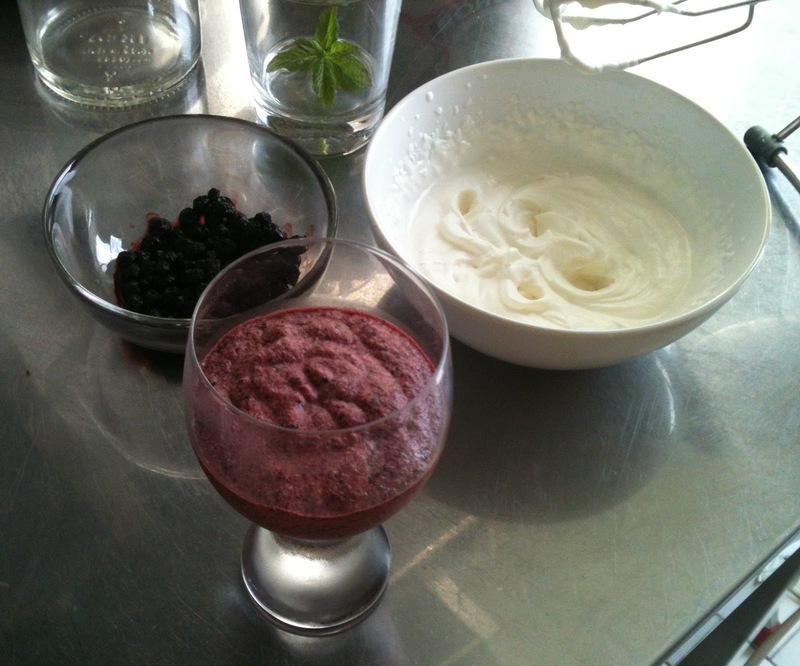 Pour the mix in small cups and refrigerate for a few hours or overnight. Serve the blueberry mousse (fresh) with some extra whipped cream and blueberries. Decorate with mint leaves. Enjoy !! !